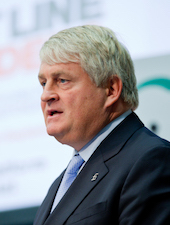 Denis O'Brien (Chairman) is Chairman of the Digicel Group. He is one of Ireland’s leading entrepreneurs with extensive investments across several sectors. Mr. O’Brien was voted Ireland’s Entrepreneur of the Year in 1998 in the inaugural running of the worldwide competition organised and sponsored by Ernst & Young. Mr. O’Brien is also a director of a number of private companies which hold some of his other business interests including Quinta do Lago SA and Communicorp Group Limited. In 2000 he established The Iris O’Brien Foundation to assist disadvantaged communities in Ireland and internationally. He is co-founder of Front Line Defenders.